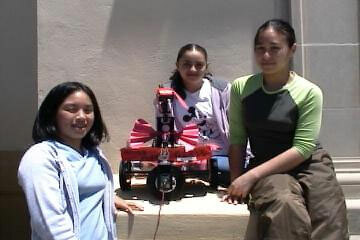 The Personal Rover Project aimed to create robots that would inspire and excite children about science and technology. We believe robots can serve as a fun and rewarding vessel for education, and we are particularly interested in bringing rovers to the home, the school and the local science center. Personal rovers are also a compelling way for children and adults to learn about the technology needed for scientific exploration such as that done by NASA's Mars rovers. The most recent of the three rovers, the Personal Exploration Rover (PER) landed in science centers across the nation on January 2, 2004, just when the NASA Mars Exploration Rovers began to land and explore Mars. Visitors at the National Science Center (Augusta, Georgia), the San Francisco Exploratorium, the Smithsonian Air & Space Museum and the NASA/Ames Visitor's Center were able to retrieve rover panoramic images of each museum's Mars yard, choose a rock to explore for possible signs of life, and then partner with the robot as it autonomously approached the rock and tested for organofluorescence and provided the mission scientist with test results. Trikebot, our second robot endeavour, was used for two summers (2002 and 2003) to teach robotics for high school students in California. The Trikebot has an on-board computer and vision system that enabled students to program it to follow lines, follow people and navigate spaces. Every student graduating from our course, Robotic Autonomy, has received a Trikebot and its programming environment to keep, enabling continued exploration and learning following graduation. We have evaluated the educational impact of this course and have quantitative results demonstrating broad learning and appreciation of science and technology. You can download a technical report here. Rover1, our first robot product, demonstrated the ability to climb ledges significantly larger than its wheel diameter by making use of an actively adjustable Center of Mass. 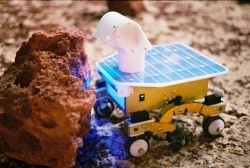 Rover1 demonstrated visual tracking, navigation and obstacle avoidance with the type of locomotion required for the home environment. 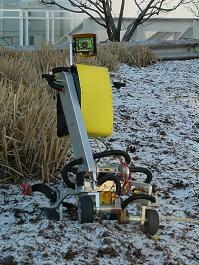 In 2005 the Personal Rover Project was succeeded by a new educational robotics project, TeRK. TeRK is built upon our experience from the Personal Rover Project and aims to make educational robots accessible to an even larger population. The Robotics Institute at Carnegie Mellon University was established in 1979 to conduct basic and applied research in robotic technologies. It is part of the School of Computer Science.